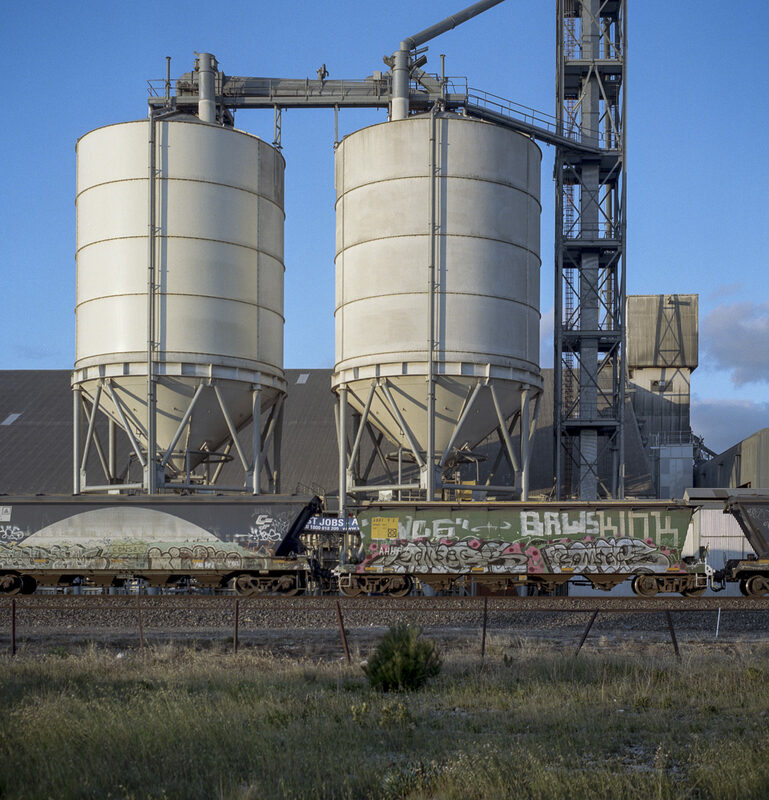 Whilst I am travelling around, and camping in, selected locations in South Australia and Victoria to photograph the silos for the silo project, I am slowly starting to broaden out to photograph the landscape that the silos are situated in along with the nineteenth century regional architecture . This is a photography of “what-has-been”, a tracing of some past moment as it were, but one that has an ongoing presence in the present, is part of an attempt to regain a historical understanding of the region. I have been looking at the Geoff Wilson’s South Australian landscapes as well as Eric Algra’s Postcards from Forgotten Places and Postcards in Colour in the context of my South Australian regional landscape portfolio. Wilson and Algra have explored South Australia before me and they have been exploring locations along the roads that I’m starting to travel on. The work they have done acts as signposts in a region that is largely unknown to me. Their digital imaging are historical markers in an image culture that is dominated by the mass media whose feedback loop constitutes a serious challenge to historical consciousness and critical thinking. Algra, for instance, has extensively explored the Mallee whilst on his trips between Melbourne and Adelaide and his crisscrossing the South Australian Mallee. His keen eye for what is significant for people living in the Mallee, and his inputs into South Australia’s visual culture, highlights the richness of photography’s contribution to the way we see the world. Algra’s vernacular photography is not part of the academic writing and its conversation about photography in Australia because that writing is still primarily a narrative of photography’s aesthetic aspirations and the great names of the photographic canon. In Australia, like the United States, photography entered through art history and so photographs were studied as aesthetic objects using formalist methods. Representing South Australia in visual form automatically situates you outside of the mainstream canon of Sydney and Melbourne visual arts that was established by the ANG following the myopic, formalist art historical model. 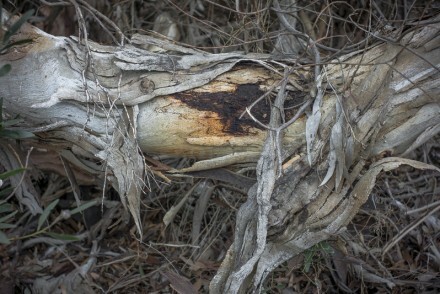 The canon’s oppositional structure constructs those working in South Australia as regional rather a national visual artists. South Australia is seen as the fly-over state in which nothing much happens. If something is happening in the visual arts then, since it is regional, it is of secondary importance to the great names of art photography’s cosy national canon. Moreover, virtually the whole canon of photography theory was written in Europe, the United Kingdom, or the United States ( e.g., Siegfried Kracauer, André Bazin, Susan Sontag, Rosalind Krauss, Pierre Bourdieu; artists like Martha Rosler, Victor Burgin, Allan Sekula, and Jeff Wall). 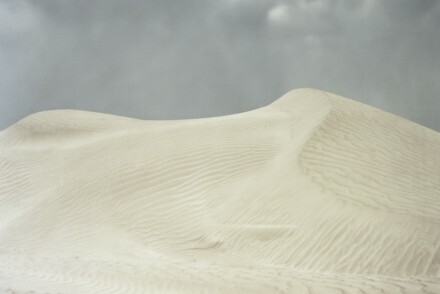 If we look at the specificity of art photography to a particular regional culture, and begin to articulate the intelligibility of these photographs of old objects/places/buildings etc for our own time, then we have started to rethink the values that canonisation rests upon, and to contest its traditional boundaries. Although “vernacular photography” within the history of photography can encompass a wide variety of photographic uses and types—from criminal mug shots to yearbook pictures to travel souvenirs—it often refers to images and objects produced outside of the canon and used or consumed in the home. Algeria’s digital images enrich those of others and open up a dialogue about the history of the Mallee (Victorian and South Australian) in post-industrial Australia. topographical truth, however all were triggered simply by looking at something at a particular time of day. The same subject seen 10m to the left a few hours earlier or later may strike no visual interest. The difficulty when painting on the spot is to hold the initial intention and not give away to random passing changes. In the end, of course, the look of the paintings is the result of all the things you have read about, looked at, liked and hated. That approach accurately relates to large format photography, thereby suggesting that the boundaries between painting and photography have become porous as each medium absorbs the other. These are image forms that also include video, film, television, holograms, computer images that are viewed on computer screen through software. 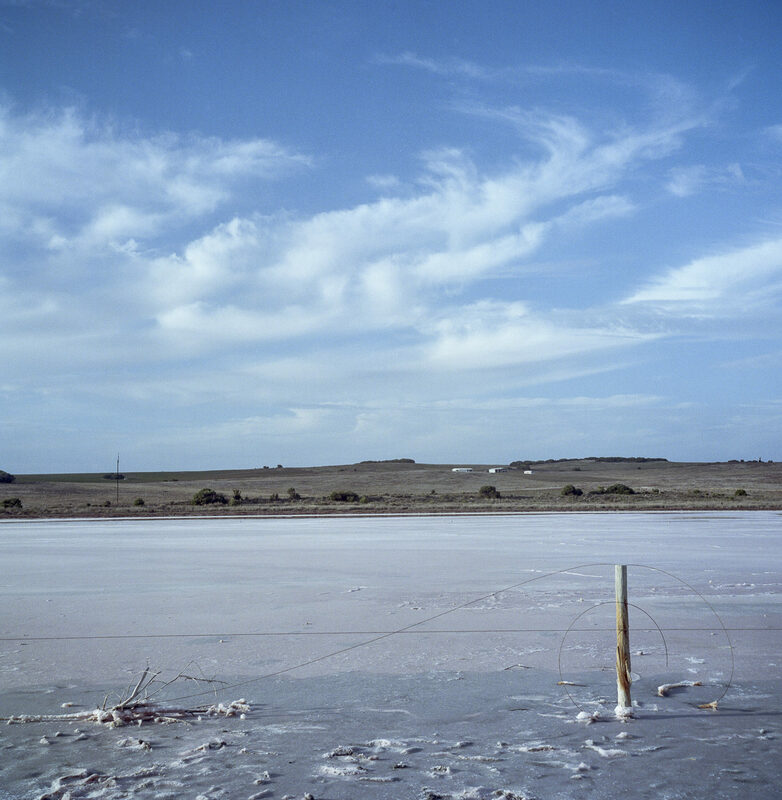 The images of both Algra and Wilson are situated in books and written texts that link the images to memory and the historical unconscious associated with agricultural landscapes in industrial Australia.